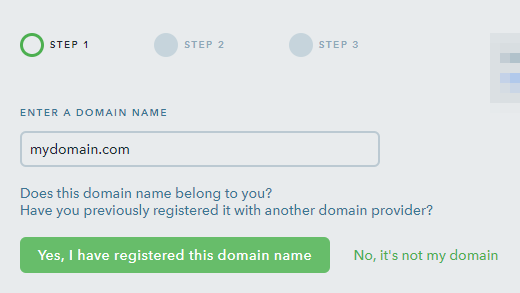 If you don't have a custom domain name, you can buy it directly from uKit. In this case, the domain will be connected automatically and no additional actions will be needed from your side. If you already have a domain name, go to the uKit Dashboard and select the Domains section. The website will be available at this domain address within 6-72 hours. Typically, it takes up to 24 hours for the changes to take effect. 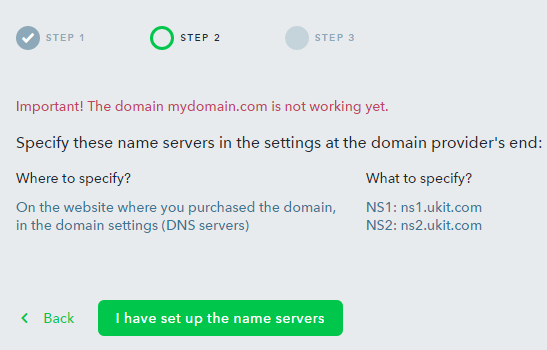 How Do I Disconnect a Domain from My Old uKit Site and Attach It to a New One? 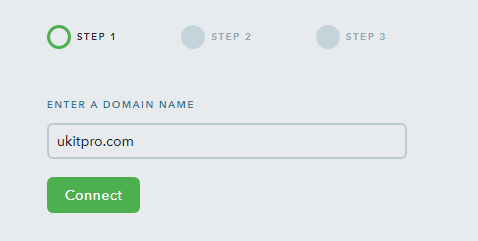 Once you have disconnected the domain, switch to the Dashboard of the new site, go to the Domains section and attach the domain you need. 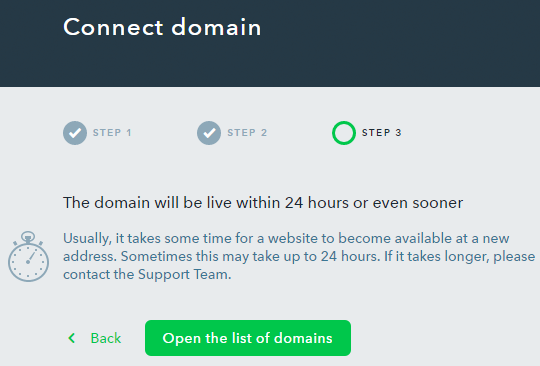 If you didn’t make any changes to the domain settings, it will be instantly connected to the new site. 49 people found this article helpful.